BRUSSELS – CECE Working Breakfast in the European Parliament, hosted by MEP Brando Benifei is going to take place on 22nd November from 8h00 to 9h30 in the MEPs Reastaurant of the European Parliament. 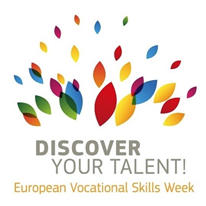 The event is organised in the framework of European Commission's 'European Vocational Skills Week 2017'! Join the discussion with representatives from both European Parliament and Commission, CECE and FIEC Presidents on the operation, maintanance and STEM skills in the construction equipment sector! The aim of the event is to debate about training and upskilling for the manufacturing and construction sector and find ways to progress through cooperation and coordination of all interested parties. The debate is open to everyone and will feature input speeches from machinery manufacturers, construction contractors, national and European stakeholders from the VET and STEM sectors. To register yourself, please fill in the form below and send it back to info@cece.eu by Monday 13th November.